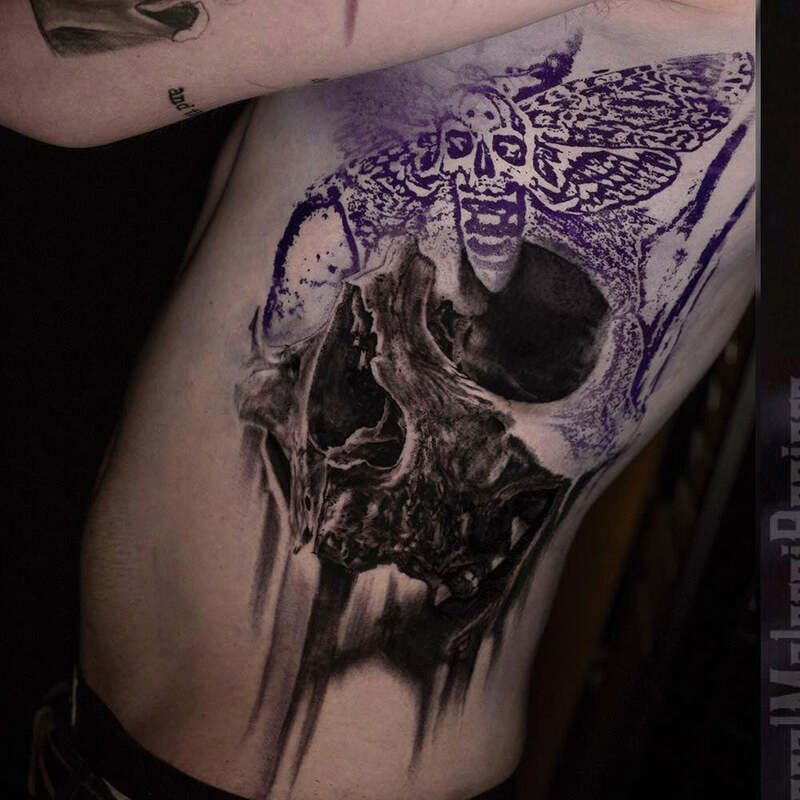 Pascal Malorni Reniere - Tattoo Artist Shirt Series - Sullen Art Co.
Pascal Malorni Reniere (Needle Juice) is a tattoo artist from Montreal, Quebec, Canada. 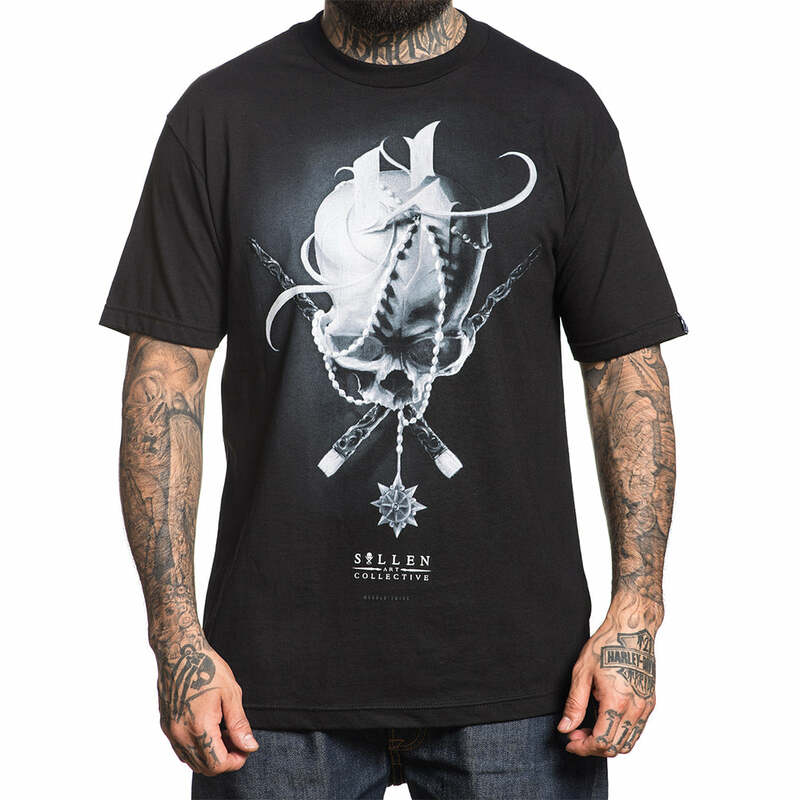 Focusing on surrealism and black & grey styles, Sullen teamed with the incredible Pascal for a signature artist series tee. See it bellow! 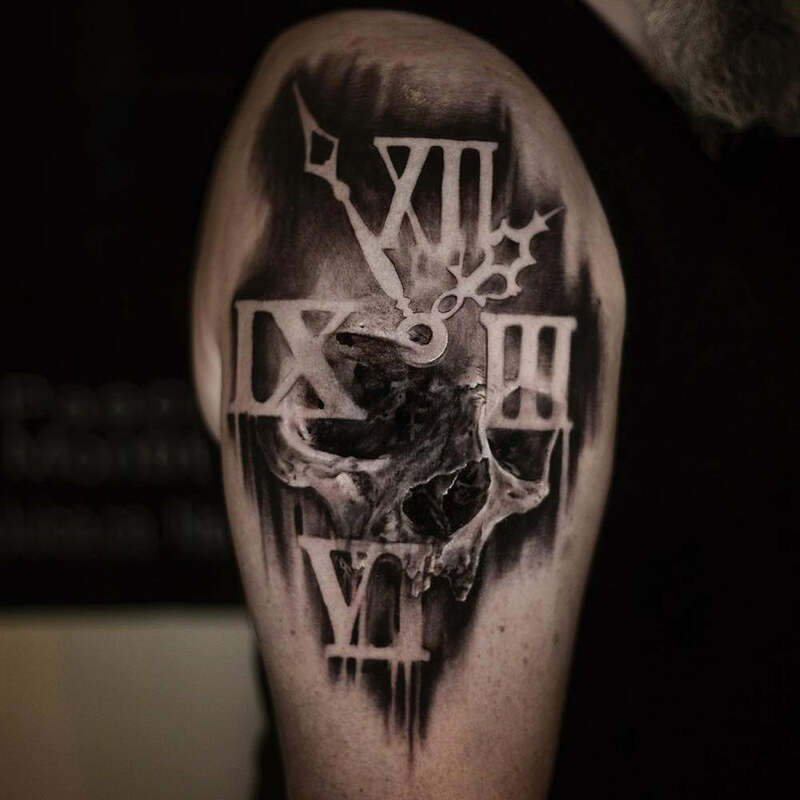 Surreal dark piece done at the Winnipeg Tattoo Convention. 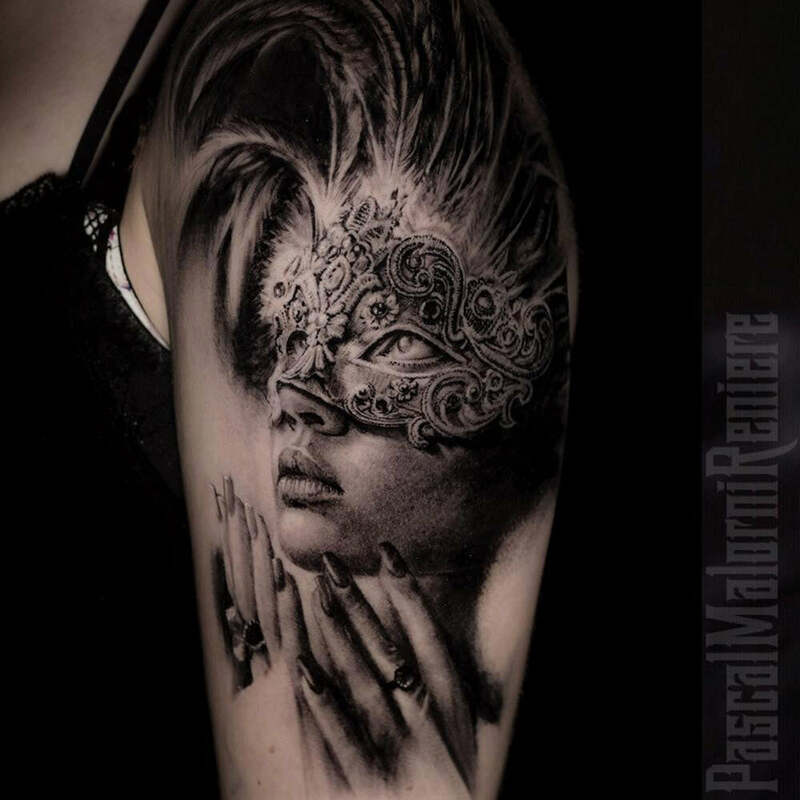 Black & grey masquerade surreal tattoo. 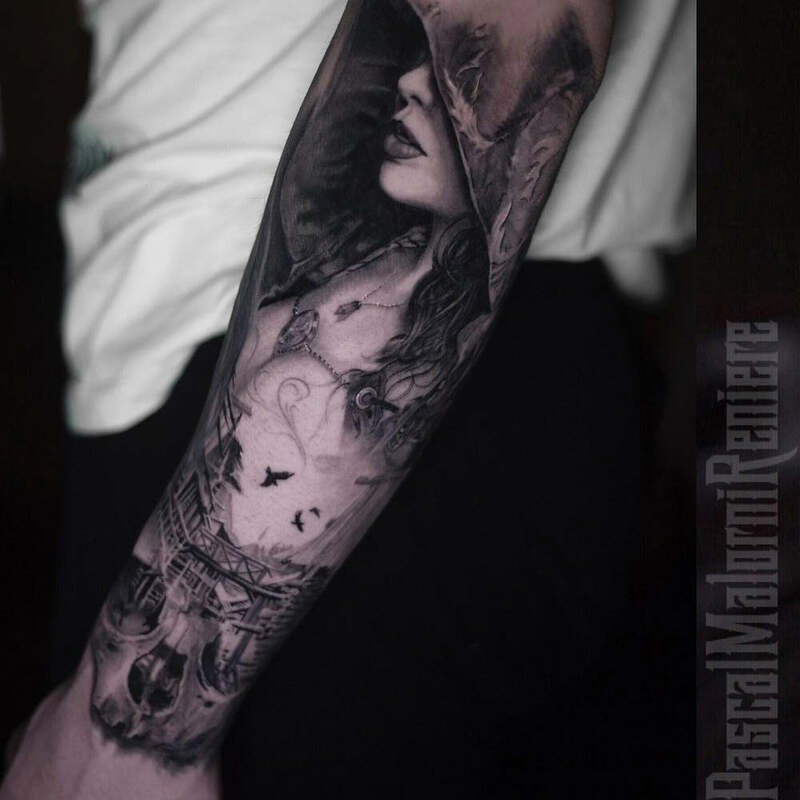 Medieval black & grey piece done on the sleeve. 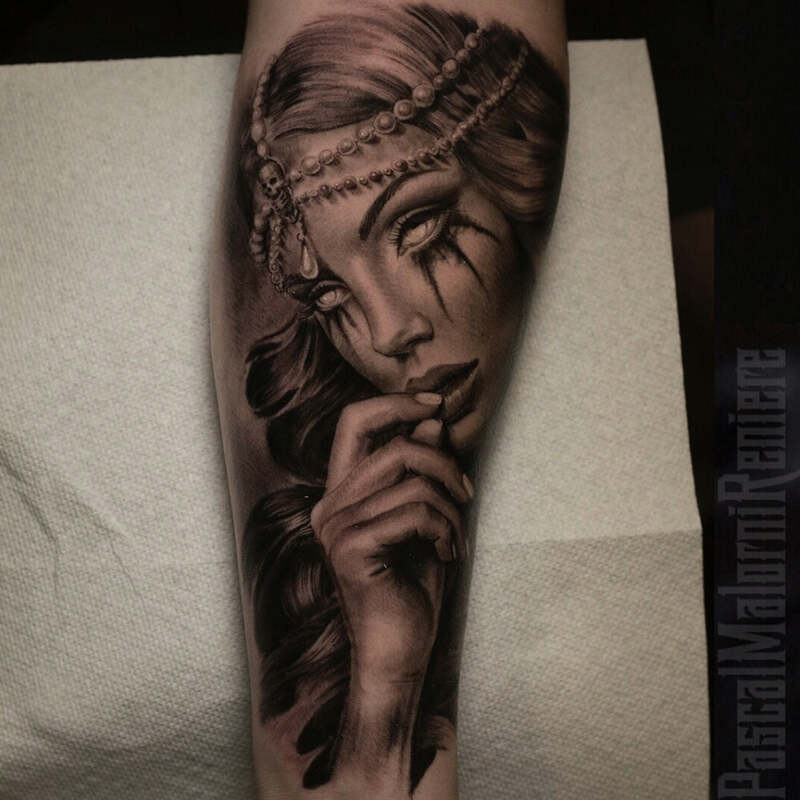 Surreal side piece done in black & grey with a touch of purple. 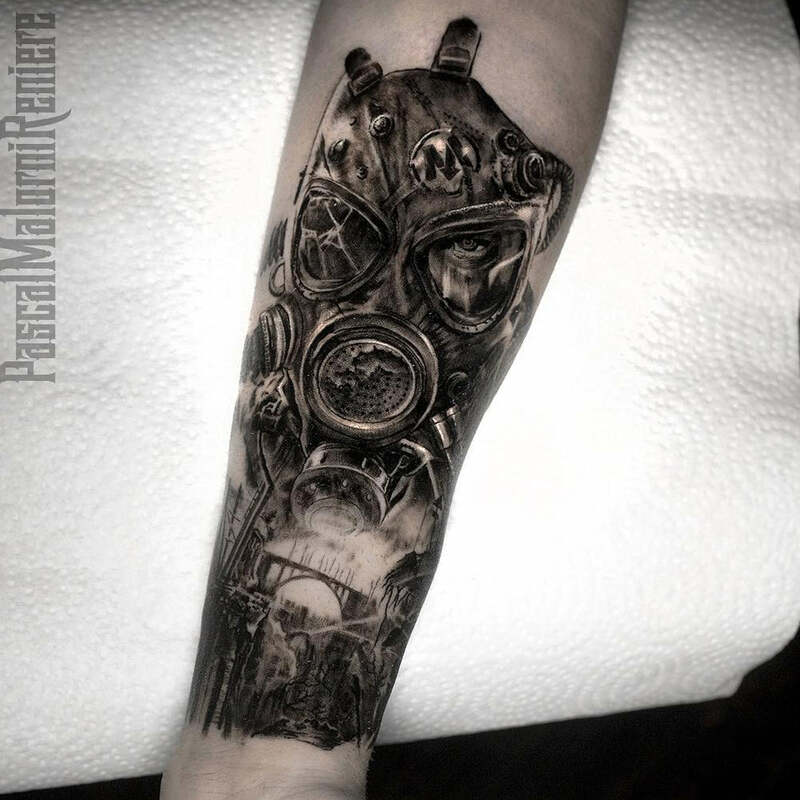 Unreal black & grey apocalyptic tattoo. Part of an unfinished surreal clock/time piece waiting to be detailed. Men's tee featuring full color printed artwork from Sullen artist Pascal Malorni Reniere at front and on back between shoulder blades.